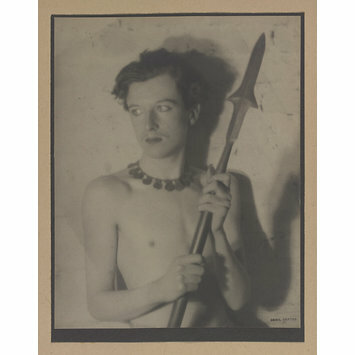 Photograph of Cecil Beaton, ca. 1924. Photograph of Cecil Beaton. Beaton is photographed in costume for an unnamed character and production. 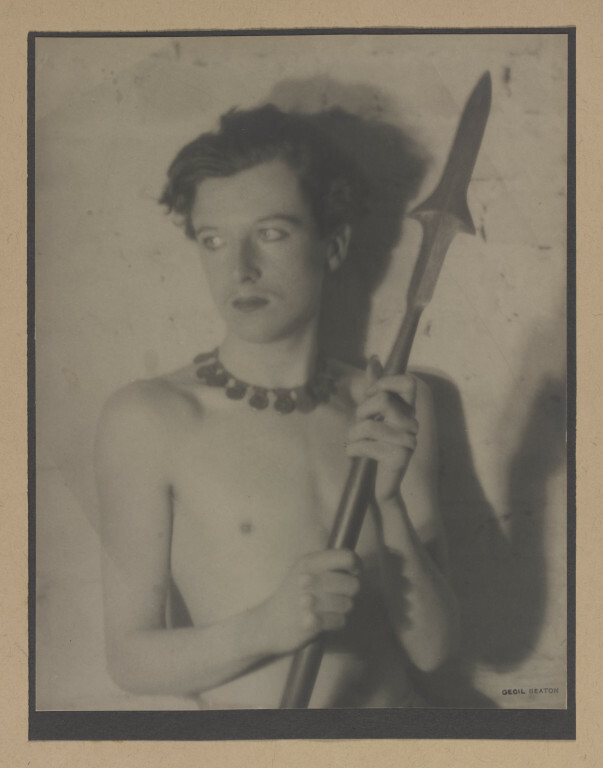 He is shirtless and wearing a coin necklace while holding a spear.